What's the deal with most banks? There’s a massive opportunity for a bank to become the customer-centred bank. We think Tangerine has a head start. And we’d like to help you continue this journey. One of Tangerine’s Promises is to Dare; to challenge the status quo, act boldly, explore, and disrupt. 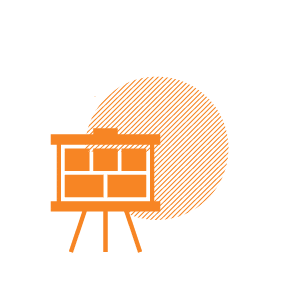 By 2020, we imagine a Tangerine where all 1213* employees are trained in human-centred design, from senior leadership to associates on the front lines. 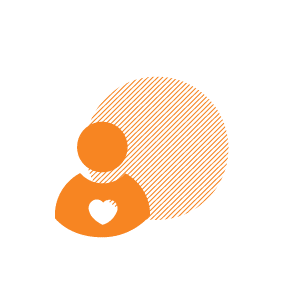 Armed with 1213* customer champions, our goal would be to make sure that Tangerine sees emerging needs and new opportunities first, by deeply understanding and designing for the everyday lives of Canadians and their complex relationships with money. 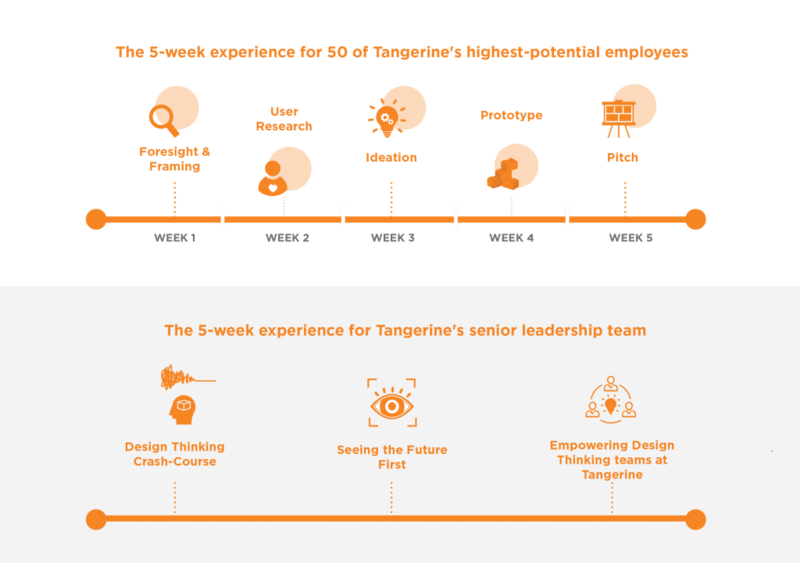 To start on our journey, we propose a multi-week learning experience with two parallel tracks: one for 50 of Tangerine’s highest-potential employees and one for members of your senior leadership team. Over the course of 5 weeks, our expert design facilitators will guide this first cohort of 50 employees through an immersive real-world project that emphasizes learning-by-doing. Each week, through a mix of training, field work, and reflection, we’ll teach participants the skills to go from future-vision to tested prototype. Along the way, we’ll host periodic sessions with senior leadership. As much as we’d love to train all 1213 Tangerine employees today, we’re also believers in starting with a MVP; a starting point that can prove the concept, ignite the movement, and create a rallying cry for achieving our Dare. *In this last Senior Leader session, we’ll also work to identify and recommend high-performing employees from this first round of training who we’d like to further empower as Design Thinking Champions and Coaches. And this is just one training cohort. To bring the experience to life, here's an example from a learning experience we recently designed for one of Canada's largest property developers.
" We're not just thinking outside of the box, we're thinking about new boxes! " " The world is changing and now I feel inspired to influence that change across our organization. " " Solving tough problems together demonstrated strengths of character here. " " This has been so valuable; learning to go deep into the real problem we're trying to solve. " Over and above this starting point, we’re still keen to have the larger conversation around big opportunities like sponsoring our OCAD University waterfront facility and creating exceptional talent recruitment experiences. We haven’t stopped thinking about the possibilities of having Tangerine’s name on our new executive training studio and incubation space. The good news? We’ve already painted Tangerine orange! Beyond just naming our space, we see three opportunities for how Tangerine might seamlessly integrate into this new design community we're building. Brand the new Tangerine Centre for Radical Customer Centricity*. 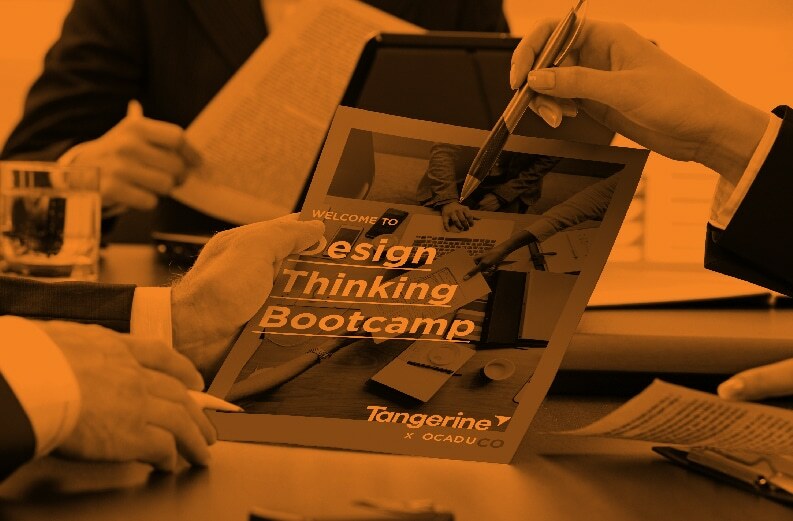 What if Tangerine became the named sponsor of our new waterfront studio and, in doing so, became the focus of our executive education design thinking courses? We could provide a real-world Tangerine challenge to OCAD U CO exec ed participants, improving their learning experience and delivering a continual stream of new ideas for the bank. * This name is just a prototype! Foster, grow, and invest in Canada's best design-led startups. 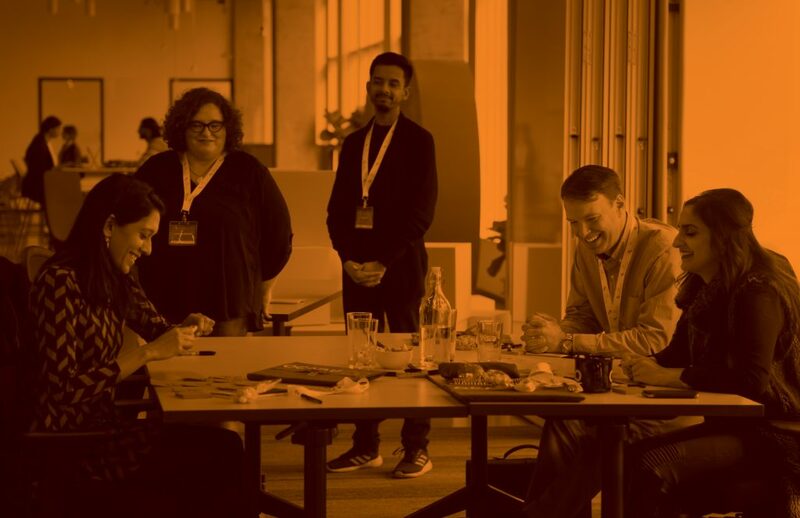 What if Tangerine played a role in OCAD U 's Imagination Catalyst, the only design-driven incubator in Canada, where entrepreneurs build companies through our Founders by Design curriculum? 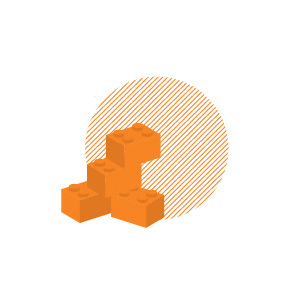 Tangerine would be positioned as a major champion for customer-centred startups with first access to this talented and diverse collection of companies. Open a Tangerine Cafe right here in OCAD U's waterfront studio. What if Tangerine opened a Tangerine Café in our studio, creating a lab for the design and experimentation of future banking experiences, while also helping you serve the growing waterfront community? We've already got terrific coffee and could beautifully integrate the Tangerine location into our executive education courses and bootcamps. Over and above building a presence at our new waterfront studio, we also know that Tangerine is looking to attract the best and brightest design talent to the bank. OCAD U wants to help. Here, we see three opportunities for helping Tangerine tap into OCAD U students and alumni to fill your growing design talent pipeline. Host the industry’s best design recruiting events. 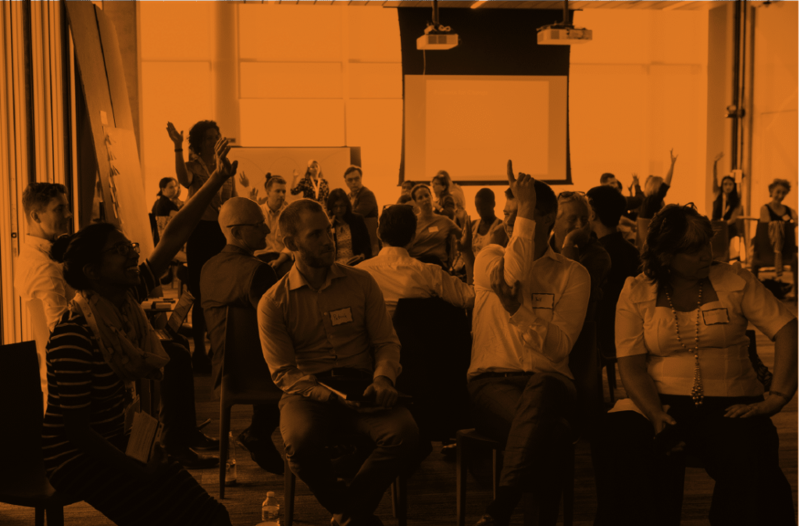 What if Tangerine hosted a series of recruiting experiences at our Waterfront facility, benefitting from the community of industry design thinkers and doers that we’re fostering in our new 14,000 square foot studio? Create amazing talent experiences on campus. 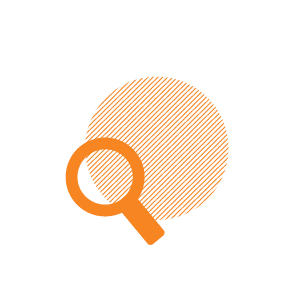 What if Tangerine had bespoke opportunities to attract and recruit talent through OCAD U's talent portal, career fair, job placement, and experiential learning platforms, giving you an edge in winning talent in the competitive Toronto design sector? Sponsor classes for undergrads and grads. 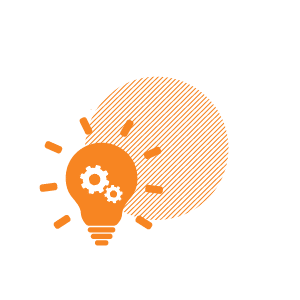 What if Tangerine had a presence in undergraduate and graduate classes that provided real world money management challenges as design briefs and, in turn, developed rich insights for the bank? OCAD University’s new business, OCAD U CO, is an executive training studio that uses creative problem solving to drive innovation and change. In a first for North America, we make the deep knowledge and capabilities of OCAD University available to industry leaders and their organizations. OCAD U CO is located in a stunning new facility on Toronto’s waterfront, which serves as a dedicated space for transformation. Handcrafted with 🧡 at the OCAD U CO studio.